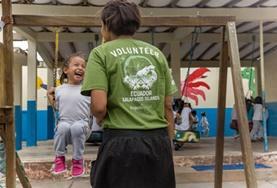 Spending some time on a volunteer project in the Galapagos Islands will let you experience both the unique nature and the welcoming people of the islands. Our voluntary projects are available for anyone interested in volunteering in the developing world, including those on a gap year, career break or as an alternative eco-holiday. 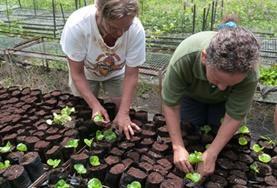 There are numerous projects to choose from including Care, Community Sports and Teaching. Alternatively, you could volunteer on our Creative Arts project which aims to support young people and encourage personal development. 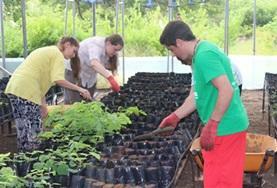 Volunteers on the Conservation Project will have the unique opportunity to get involved with a wide range of activities, such as contributing to the conservation and preservation of the unique and abundant marine and terrestrial ecosystems. 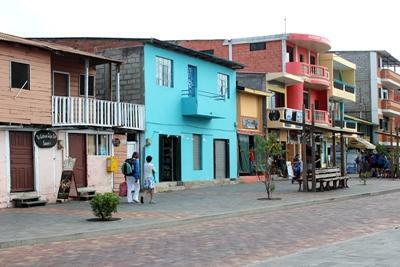 Projects Abroad is based in the town of Puerto Baquerizo Moreno on San Cristobal Island in the Galapagos Archipelago. 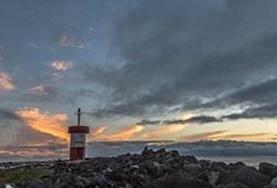 This town is the provincial capital of the Galapagos Islands. All volunteers live in a shared volunteer house. Upon request it is also possible to stay with a host family. 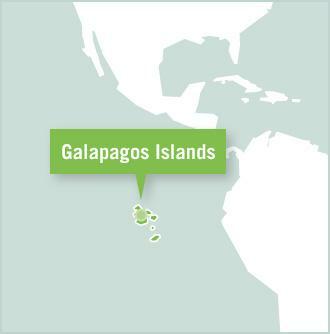 The Galapagos Islands are a province of Ecuador, South America’s second smallest country. The islands are found off Ecuador’s Pacific coast and are among the most species-rich areas on earth and the place where Charles Darwin developed his theory of evolution. 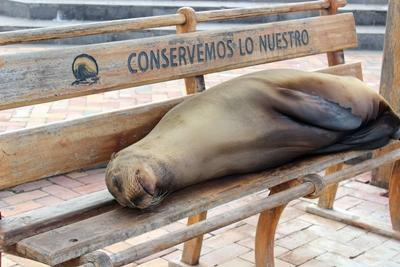 As a result of their isolation, the Galapagos Islands are home to many endemic species of flora and fauna. Ecuador suffered its worst economic crisis in the late 1990s, with natural disasters and sharp declines in world oil prices devastating Ecuador's economy. In 2000, Ecuador adopted the US dollar as legal tender, which stabilised the economy. However, prices have inevitably risen and for the typical Ecuadorian, costs remain high. 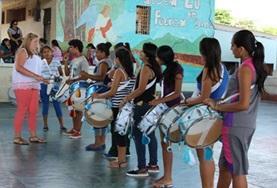 Ecuador still has a long way to go, with approximately one third of its population still living below the poverty line. 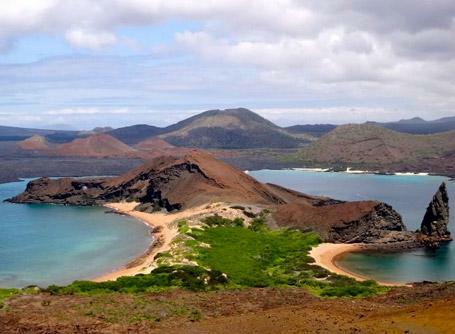 At the weekends you can explore the Galapagos Islands by island hopping. Santa Cruz Island is usually top of the list; the island is home to the Charles Darwin Research Station, and the famous giant tortoises. On San Cristobal Island you can try diving or snorkelling or just hang out in Puerto Baquerizo Moreno with the sea lions and pelicans. You may choose to spend some time in mainland Ecuador too; the distances between the main towns and tourist sites are relatively small. Discover Ecuador’s colonial past on a weekend trip to the capital, Quito, a UNESCO World Heritage site where the colourful markets are overflowing with hand-woven clothes and blankets. Or take a hike up Volcán Chimborazo, Ecuador’s highest summit and the closest point on earth to the sun. Adding some extra travel time at the end of your placement will give you an exciting choice of onward travel options, including easy access to neighbouring Peru and Colombia. Volunteers are needed to work with children in kindergartens, assisting with activities that enhance the growth, development and well-being of the children. 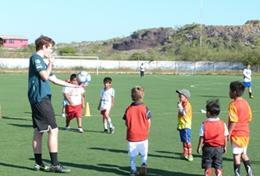 Volunteer at community-run sports clubs in the Galapagos. You will provide free sports lessons to children, teenagers and adults of mixed abilities. 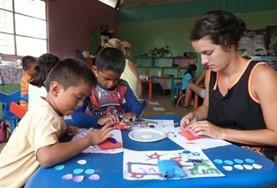 Participate in a social work internship in Ecuador and provide emotional support and care to local children while working alongside a trained professional. 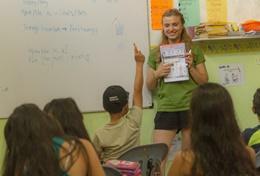 Volunteer as a teacher on one of the spectacular Galapagos Islands. Work alongside local staff in a school and teach fun, inclusive lessons that help to develop the pupils' confidence. Volunteer in one of the most species-rich places on earth and assist on a variety of tasks, including habitat restoration work, sea bird population surveys, beach clean-ups and runing creative educational activities with children at care centres. Split your time between important Conservation work in the Galapagos National Park and basic renovation work in a local community on this Grown-up Special in the Galapagos.